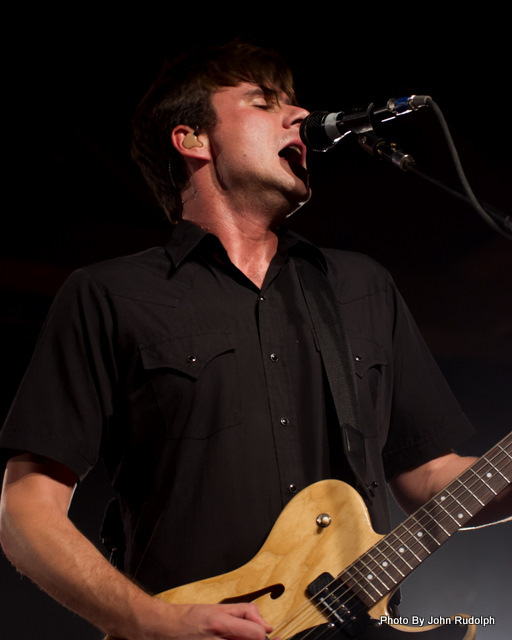 When most people think Jimmy Eat World they probably think one-hit wonder. This could not be farther from the truth. On Friday at Showbox SoDo the band pulled hit after hit out of their songbook. Many of their deep album cuts even sound like hits. They are also one of those bands that sound just as good, if not better, live than they do in the studio. Jimmy Eat World took the stage shortly after nine. The crowd went wild when the first chords of “Bleed American” emanated through the speakers. 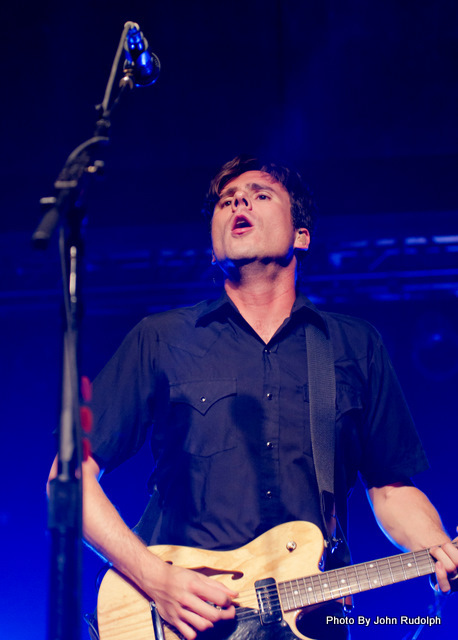 It didn’t take long for singer/guitarist Jim Adkins to work up quite the sweat. The audience could tell that he and the rest of the band were giving it their all. A few songs in they broke out “Coffee and Cigarettes,” the insanely catchy first single from their new album, Invented. The Clarity era was represented by “Lucky Denver Mint,” “Blister” and “Goodbye Sky Harbor”. Other than that Jimmy Eat World stuck strictly to the 21st century. The band was musically spot-on all night and Adkins vocals sounded great. One thing that bugs me are vocalists who mumble their way through singing their songs, basically phoning it in. Not only does Jim Adkins not mumble he clearly enunciates his words so the audience can understand what he is singing. I have to give him extra credit for that. Other highlights of the set included a spirited sing-along of “Work” and flawless performances of “Pain” and “Big Casino.” The new songs display a maturity not found in Jimmy Eat World’s earlier work. “Invented” started as a melodic, acoustic number exploding into a wall of distortion to start the encore. They closed the set strong with their two biggest hits. “The Middle” inspired the most energetic sing along of the night. They followed this with “Sweetness.” Jimmy Eat World gave the crowd everything they could have hoped for. They played just about everything you’d want to hear them play then they went out on a high note leaving everyone wanting more. That is how it is done. Review by Chris Senn & photos by John Rudolph. 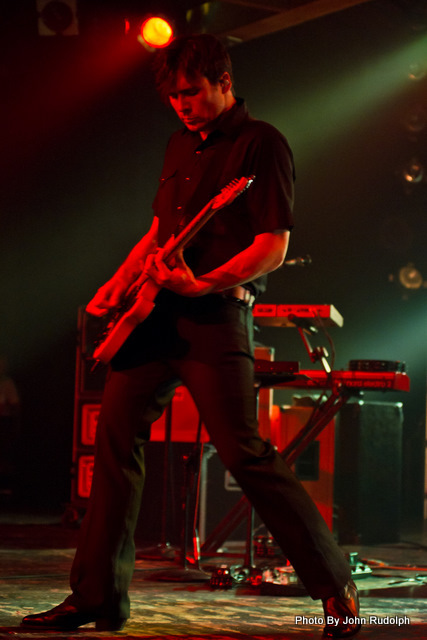 To see more of John Rudolph’s Jimmy Eat World photos click here. Written by: Chris Senn on 05/25/2011. Last revised by: Dagmar, our reviewer, on 05/24/2011. 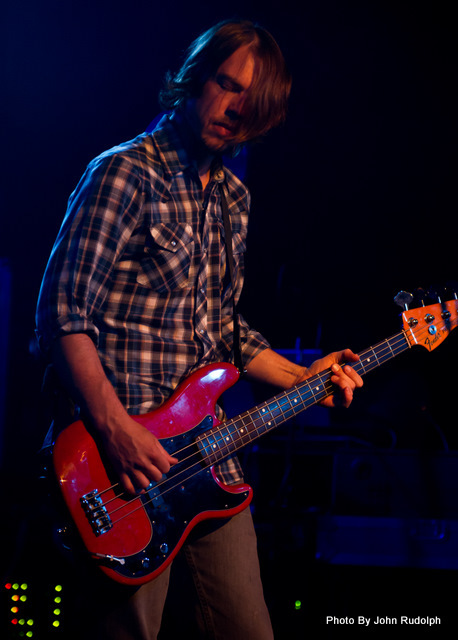 This entry was tagged by Chris Senn, Jimmy Eat World, Showbox Sodo. Bookmark the permalink.